You won’t meet many people like me. Do you know how many others share your personality type? My Myers-Briggs personality type is Introverted, Intuitive, Feeling, and Judging (INFJ). I, like Obi-Wan Kenobi and others like us, are thoughtful, have strong intuition, and are very nurturing. INFJs have a natural talent for seeing the Big Picture and finding systems and order within it. At the same time, we intuitively know things about people and situations, and our intuition is usually right. This portrait of an INFJ describes my personality well, including why I have a messy desk and wold make a good Jedi. We INFJs are pretty awesome. So awesome, in fact, that only 1-3% of the U.S. population are INFJ. The Force is strong in us. Do you know someone who might be an INFJ? What is it like to work or live with them? Are you an INJF? What do you want others to know about you? Leave your comments below. Click on the photos to see other characters that might match your personality type. 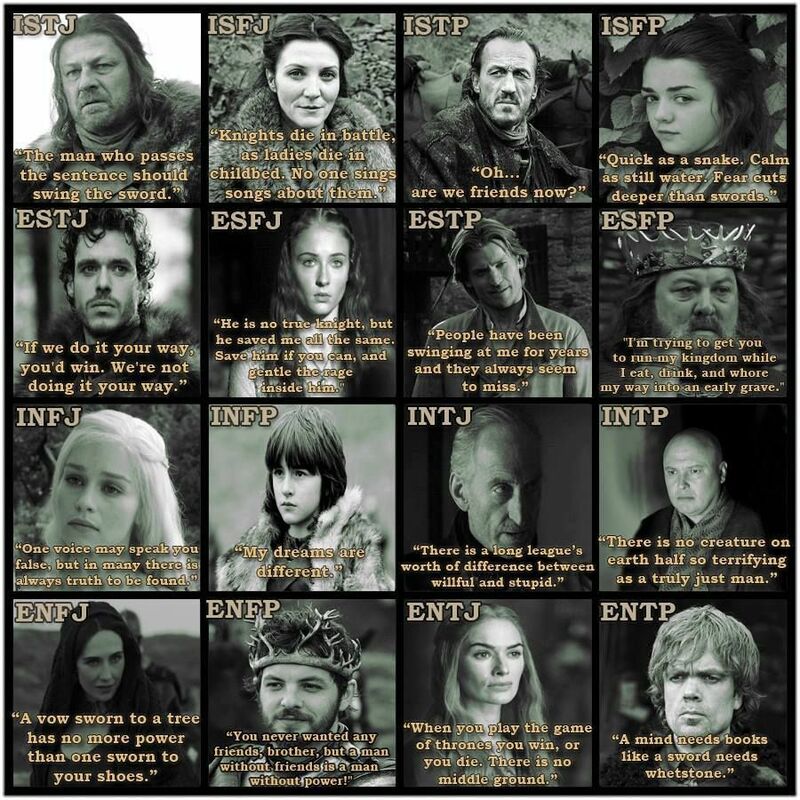 Want to know your Myers-Briggs personality type? Take this free online test. Short Myers-Briggs test on CelebrityType.com. I’m INFJ. Just a curiosity thing, but I get passive-aggressive when I’m upset or angry in an attempt to keep from shouting at everyone and apparently I’m not the only INFJ out there who is like this. Do you think Obi-Wan might be the same? In my case, I generally use humor to hide that I’m really hopping mad and people laugh like they think I’m just being funny–so I guess I’m subtle enough about it that people just see someone telling a joke, not someone who’s furious and using humor to cover it up. And Obi-Wan’s definitely got “subtle” and “self-control” down. He might be really angry in some of his scenes and we just read him as calm because he’s keeping it under control. No one but Yoda, Windu, and Qui-Gon realize that he’s really ticked off about something and all of them have sort of a soft spot for him so they don’t call him on it. I use humor also to deflect conflicts. I can also be passive-aggressive — I think this is something that we need to be conscious of and intentionally choose more direct ways to express our feelings. It’s not rude to be straight forward, it’s more unkind to give someone the run-around or lie about what you are thinking or feeling, IMHO. It’s sometimes hard to give an honest answer because people expect you to say “I’m fine” when you’re really anything but. It’s frustrating. Nice, I got this too and I didn’t know it was a small group. Its true I love people to grow and be happy and improve things going on around me. I have a hard time with the motives of authority but appreciate their hard work. I love creativity as the means to bring much needed inventions of positive change. Haha! I took the personality test, and this is what I’ve been labelled as, as well. I love Michelle Pfeiffer, Star Wars, Star Trek, and writing. I agree that our intuition about people and animals is always correct. I believe we make great Psychologists, even untrained, and very powerful Spiritual leaders. I think people at work don’t realize how much I don’t like to discuss my private life with acquaintances, but I’m always listening. I’m often left out of the loop, while my extroverted co-workers fill me in. I don’t gossip; I don’t even like hearing it. Those I work with, know me for my insane and sometimes uncontrollable, side splitting sense of humor. I live to lighten the mood and make people feel good.